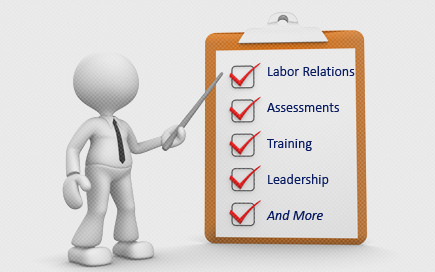 Labor Relations News Update February 10, 2014 | Oliver Bell, Inc. When Venezuelan oil minister Rafael Ramirez recently announced an ambitious new target of six million barrels per day by 2019, the state-run press heralded the imminent expansion of an industry vital to the country’s health. But people here heard the news and rolled their eyes. After all, the last five-year plan had a goal of 5.8 million barrels a day by 2012, only to finish last year at just 2.9 million. That’s down from 3.2 million back in 2005. In fact, the last time Venezuela’s oil industry productivity per employee was this low was 1940. There is open speculation about how long Petroleos de Venezuela SA (PDVSA) can carry on, even at its current depressed level. There is little faith in the official data put out by the firm – whose senior managers are now mostly political appointees. And rumours are circulating about accidents, breakdowns and critical shortages of even the most basic supplies needed to run the business. Cash flow from PDVSA is all that is keeping the lights on here. Far from becoming less dependent on oil, as has been a government mantra for years, Venezuela is now almost exclusively reliant on it, as other industries are shuttered in the country’s slow-motion economic implosion. Venezuela is among the world’s top five producers, and OPEC has said it has the largest proven oil and gas reserves. But to call PDVSA beleaguered is an understatement. The company is the chief piece of collateral damage in Venezuela’s political drama. Its revenues were directed by the late President Hugo Chavez to fund a series of social “missions,” populist health and education programs that saw the oil company take on production of everything from subsidized chicken meat to elementary schools. At the same time, PDVSA sends oil to Cuba and has a preferential payment agreement with 16 other countries in the region under agreements made by Mr. Chavez, which accounts for a total of 500,000 of each day’s production. Another 200,000 are used to pay down the firm’s $80 billion in debt (including hefty loans from China). Yet another critical chunk of production is siphoned off to feed high domestic consumption. Petroleum products are heavily subsidized. A typical driver spends more to fill up once in Canada than Venezuelans do in a year. The subsidy costs an estimated $16-billion (U.S.) per year. And some 100,000 barrels a day are smuggled to Colombia. That means that only a bit more than half of PDVSA’s production is generating cash flow, Mr. Hernandez pointed out. That leaves PDVSA little to spend on boosting production, said Richard Obuchi, a professor at the Instituto de Estudios Superiores en Administración in Caracas. At the same time, inflation is running at more than 50 per cent, and the bolivar’s value has collapsed on the black market. PDVSA must pay for imports at the black market rate, but sell its precious dollars to the central bank at the posted one. The company is reported to be months in arrears on paying for everything from chemicals for refining to food for the workers’ canteen. PDVSA has been trying to push its foreign partners into paying for the construction of pipelines, storage capacity and other components in its new fields, even though these are ostensibly joint ventures, by withholding dividends and other payments. In its most recent annual report, the company said it needed $257-billion in new investment between last year and 2019. Senior managers in the company have been replaced by cronies of the regime, while engineers and other skilled workers have fled en masse, many to Calgary. Meanwhile, those foreign partners are proving increasingly unwilling to operate in this climate. They cannot get access to dollars for imports, and they operate under a constant threat of another wave of nationalization and new tax demands. Malaysia’s state-owned Petronas, for example, pulled out of the Orinoco field last September. And even producers from governments aligned with Venezuela’s socialist party are trying to get out of Orinoco. Russia’s Lukoil, said it wants to sell its stake, and Surgutneftegaz got out last year. Yet any effort to meet the expanded production targets laid out by Mr. Ramirez hinges on a string of ambitious projects in the Orinoco, a rare largely-untapped major crude reserve. CANBERRA—Australia’s conservative government said it has held talks with major resource companies to suggest they delay multibillion-dollar oil and gas projects rather than give in to wage demands from unionized workers that would push up production costs. Employment Minister Eric Abetz told major resource companies developing new energy projects to stand up to union demands for generous pay deals to allow projects to get off the ground, warning that giving in would just bring “long-term pain.” The talks mark the latest front in a battle to challenge union influence, and come as Prime Minister Tony Abbott announced a judicial inquiry into corrupt behavior among trade unions Monday. “We can confirm that we have had discussions with stakeholders regarding this issue,” a spokesman for Senator Abetz told The Wall Street Journal. He declined to specify those companies which had held talks with ministers. The conservative government swept aside the Labor party, which is supported by the union movement, in September elections. It’s now preparing to challenge union strength with plans to establish a new watchdog over union activities in the construction industry. Employer groups argue that re-regulation in the labor market under the former Labor government has given more power to unions, driving up business and wage costs and leading to a manufacturing exodus in the country. Japanese auto maker Toyota Motor Corp. on Monday announced an end to manufacturing in the country from 2017, following the planned departures of General Motors Co.
Mr. Abetz told the West Australian newspaper that with around US$200 billion worth of liquefied natural gas projects under construction or planned in Australia, resource companies should be prepared to wear some “short-term pain” in wage negotiations, including project delays, if it meant making those projects more economic. Companies with Australian projects include Woodside Petroleum Ltd., Chevron Corp. and Royal Dutch Shell. The price tag for the Chevron-led Gorgon gas-export project in Australia has ballooned 45% to US$54 billion since construction started in 2009. Labor costs rose because of fierce competition for skilled workers as other companies committed to spending more than US$100 billion in similar gas projects across Australia. The Gorgon project faced challenges on other fronts as well, including the strong Australian dollar, which inflated the cost of materials. “Some of the employers do argue that it is very difficult when you’ve got a stash of capital in the corner which is costing you big, big dollars in interest or forgone dividends when these extravagant wage claims are made,” Mr. Abetz said. Australia’s chief commodities forecaster, the Bureau of Resources and Energy Economics, in December said there were 63 committed resource or energy projects in Australia as at October 2013 valued at 240.13 billion Australian dollars (US$214.99 billion). There were 162 projects at the feasibility stage valued at A$208 billion and 18 completed projects totalling A$30.3 billion. Unions representing miners, including the powerful Construction, Forestry, Mining and Energy Union, argue that higher wages and compensation in the resources industry are warranted because of hardships faced by workers on offshore oil and gas rigs, including time spent away from family. But Mr. Abetz told the newspaper that the government was prepared to intervene when wage negotiations stalled to allow the country’s independent workplace relations umpire, the Fair Work Commission, to make a ruling on greenfield projects so that projects could proceed. Mr. Abbott’s government has already urged the commission to consider the country’s slowing economy and joblessness as part of a review of worker pay including extra money for weekend work.